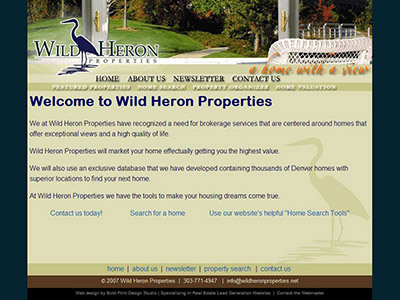 Wild Heron Properties has uniquely positioned itself as the expert in matchmaking discriminating home buyers with their perfect dream home. 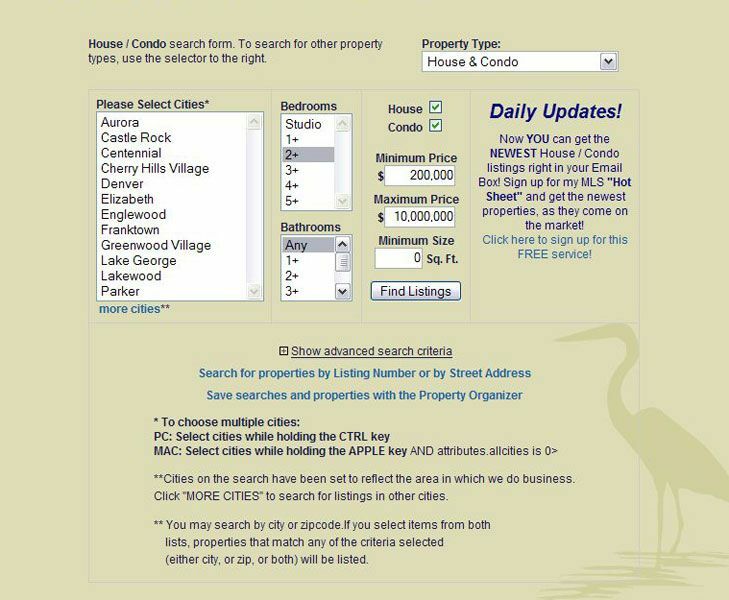 They specialize in their expert analysis of all homes on the market, and in singling out that special home WITH A VIEW. 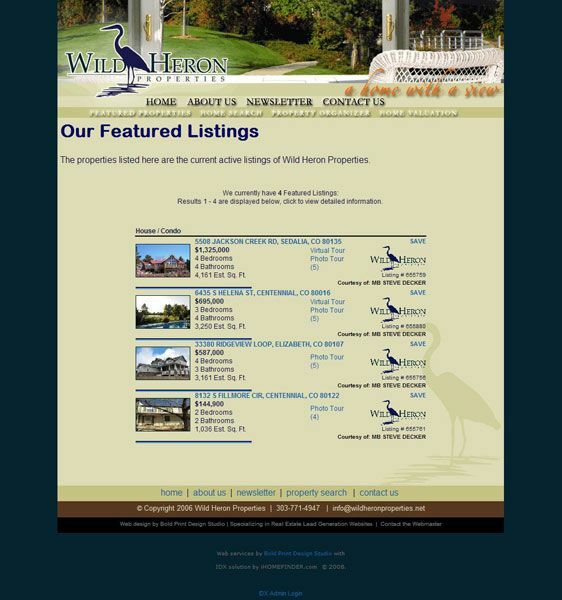 Our custom hotsheets allow them to showcase their knowledge of local homes for sale by displaying only the best properties with the best views, on golf courses, on lakes, on rivers or on a mountain. 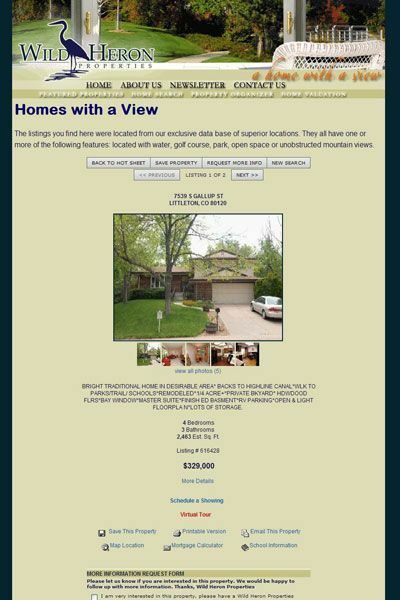 They also take advantage of our Virtual Tours page and Featured Listings page features to easily show their high end buyers the best of the best in property listings.